Anthony Gaudino, now living in Gig Harbor, Washington, grew up in the Northwest exploring the Olympic mountains and drawing pictures of the natural beauty surrounding him. When he began studying ceramics at Tacoma Community College in 2001, he knew from that moment that clay would always be in his life, and he now teaches ceramics at that college. 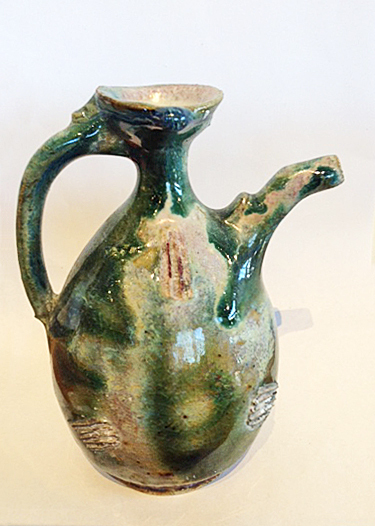 In 2004 he travelled to Turkey as part of a ceramic exchange and symposium which had a huge impact on his work and life. 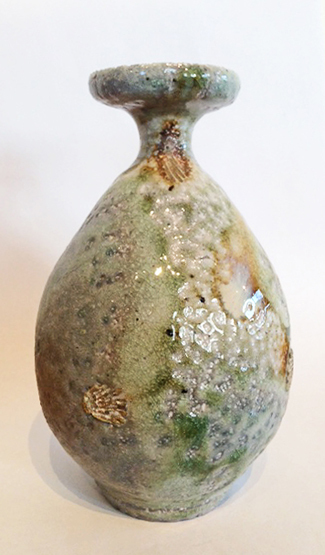 He is also heavily influenced by Japanese, Korean and Chinese pottery. While he continues to work with gas kilns he was instantly captured and intrigued by wood firing and the results from unglazed wood fired pots. He fires and helps manage two anagama wood kilns in the area. Anthony creates both functional and sculptural forms. 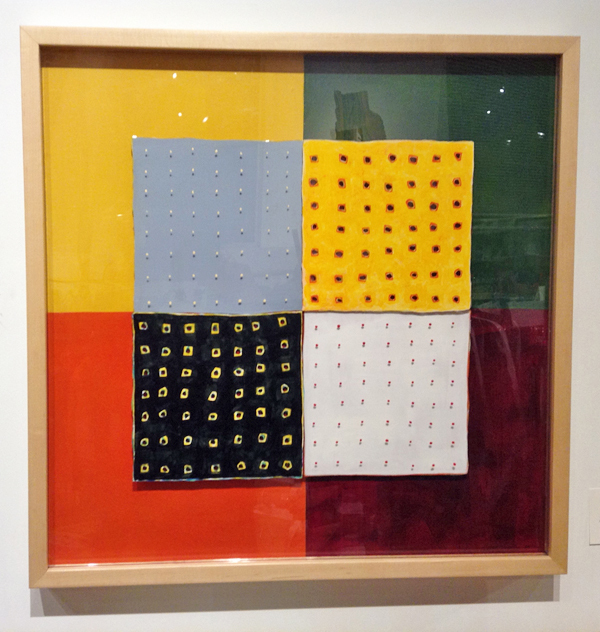 Anthony has exhibited at numerous galleries in Seattle and the Northwest as well as internationally. He has conducted workshops in China and South Korea, and won a special prize and award at the 6th Ceramics Symposium and International Art Exchange in Turkey. 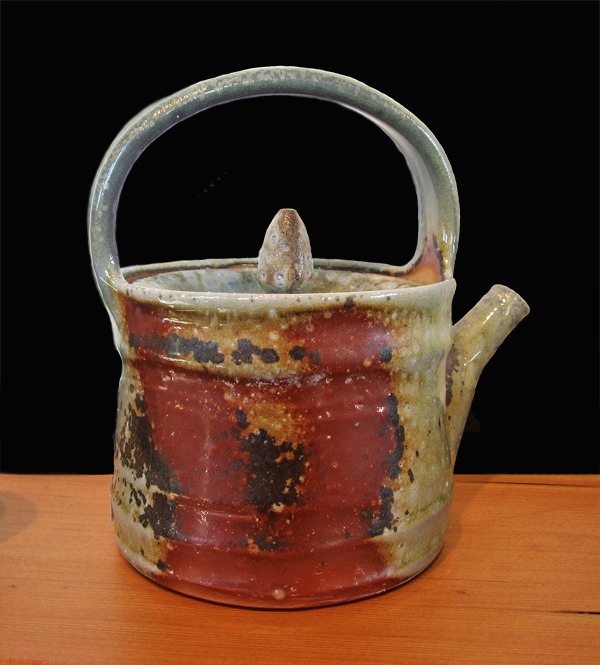 Traditionally, a tokkuri is a vessel for holding sake. In this case the artist personally dug and processed the clay. Wood fired; natural ash glaze. Dimensions: 6" x 3". 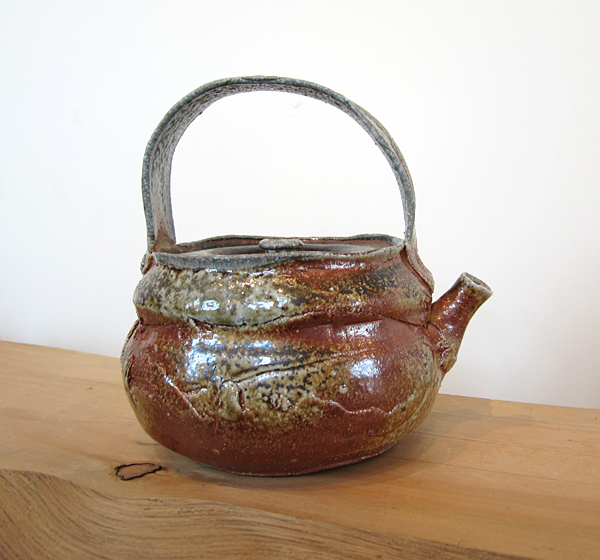 Traditionally, a tokkuri is a vessel for holding sake. In this case the artist personally dug and processed the clay. Wood fired; natural ash glaze. Dimensions: 5.5" x 3". 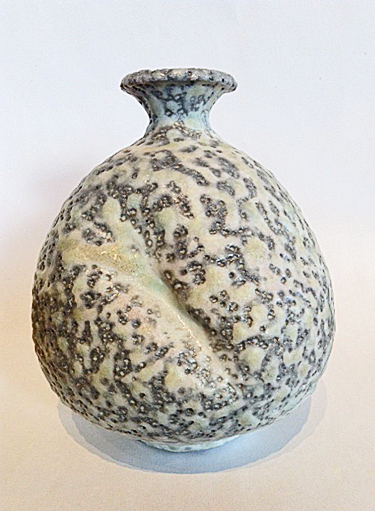 Traditionally, a tokkuri is a vessel for holding sake. In this case the artist personally dug and processed the clay. Wood fired; natural ash glaze. Dimensions: 5.5" x 4". A beautiful wood-fired tea pot. Fired in the 51st firing of the Santatsugama (Three Dragon Kiln), Seabeck, Washington, February/March, 2012. 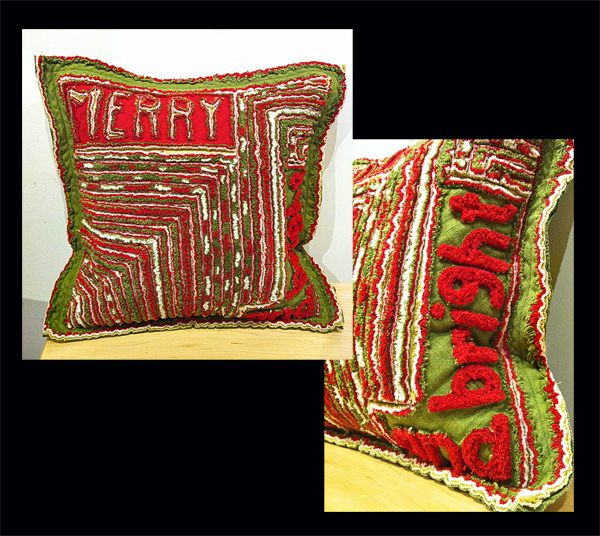 Approximate dimensions, in inches: 7-1/2 x 7-1/2. 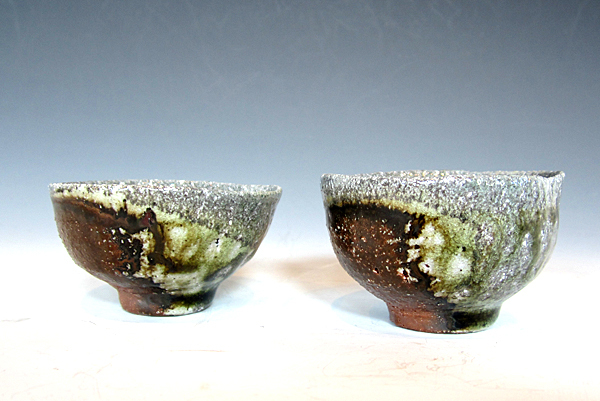 A lovely wood-fired sake vessel with three cups. Fired in the 51st firing of the Santatsugama (Three Dragon Kiln), Seabeck, Washington, February/March, 2012. Approximate dimensions, in inches: Vessel: 5-1/4 x 3-1/2; Cup, center: 1-1/2 x 2-1/2; Cup, left: 1-3/4 x 2-1/2; Cup, right: 2 x 2. 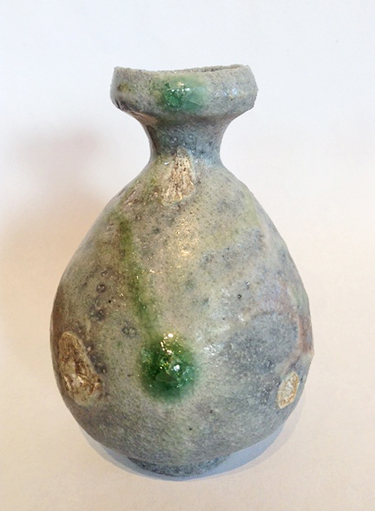 Traditionally, a tokkuri is a vessel for holding sake. In this case the artist personally dug and processed the clay. Wood fired; multi-fired and multi-glazed. Dimensions: 6" tall x 5". 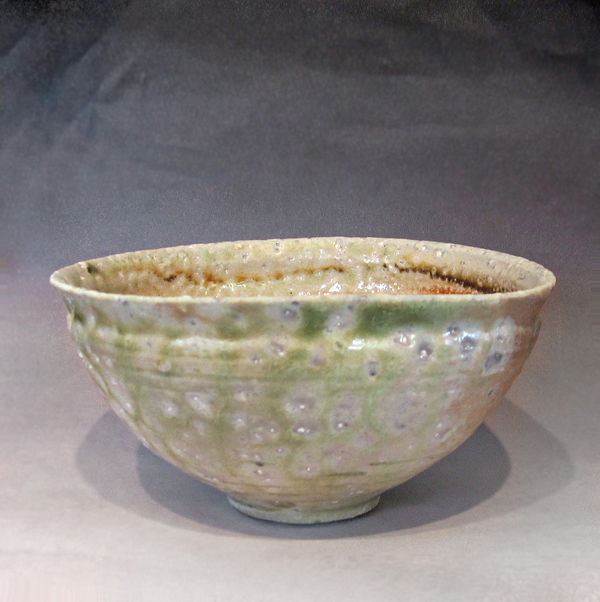 Anthony Gaudino's lovely tea bowl, from the 51st firing of the Santatsugama (Three Dragon Kiln), Seabeck, Washington. Dimensions, in inches: approximately 2-1/2 x 5. Anthony Gaudino's lovely iga-style vase, from the 51st firing of the Santatsugama (Three Dragon Kiln), Seabeck, Washington. Dimensions, in inches: approximately 5-1/2 x 3-1/2.